The act directs state governments to implement MGNREGA "schemes". Under the MGNREGA the Central Government meets the cost towards the payment of wage, 3/4 of material cost and some percentage of administrative cost. State Governments meet the cost of unemployment allowance, 1/4 of material cost and administrative cost of State council. Since the State Governments pay the unemployment allowance, they are heavily incentivized to offer employment to workers. However, it is up to the State Government to decide the amount of unemployment allowance, subject to the stipulation that it not be less than 1/4 the minimum wage for the first 30 days, and not less than 1/2 the minimum wage thereafter. 100 days of employment (or unemployment allowance) per household must be provided to able and willing workers every financial year. MGNREGA is open to all adult members of a family, regardless of poverty line. Material cost is shared by Central and State government. At least one-third beneficiaries shall be women who have registered and requested work under the scheme.Currently above 45% of beneficiaries are women. 8 Aug, 2011 : Skill development training for MGNREGA cardholders : Jairam. Union Minister for Rural Development Jairam Ramesh today said the skill development of farm labour will become a component of the MGNREGA soon.Wage earners who had completed 100 days work will be provided 100 days more work for skill development. 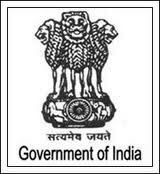 To prevent irregularities in nine flagship programmes of rural development schemes including MGNREGA, Mr Ramesh said the CAG had agreed to establish separate body to monitor the funds being pumped every year for various rural schemes by the Union Government.